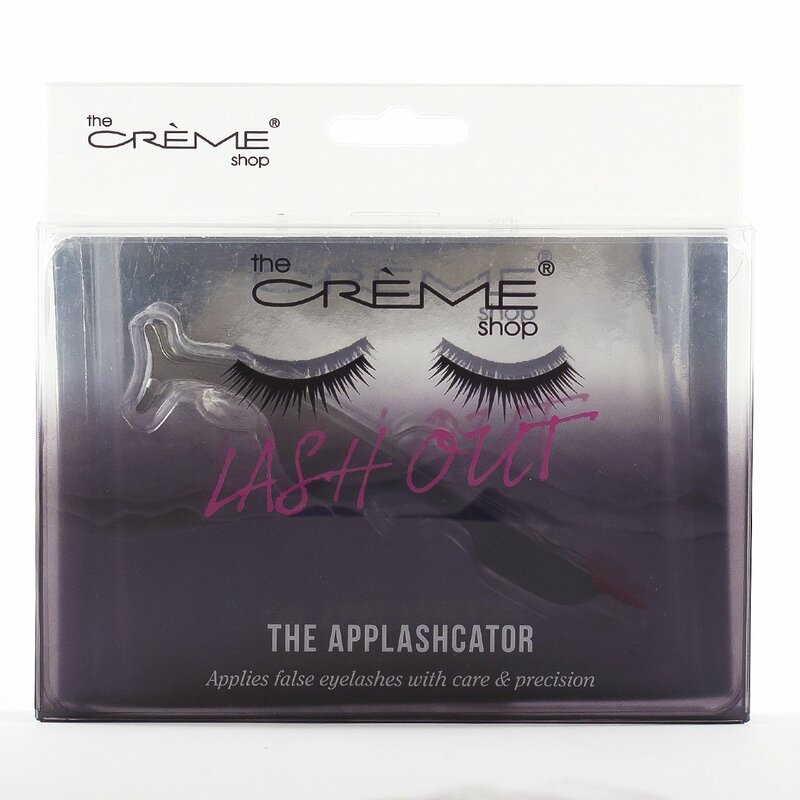 Put your falsies on in seconds! 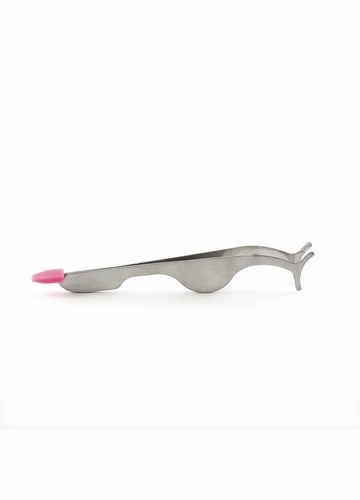 Use the curved tweezers to apply false lashes to your lash line with complete control and precision. 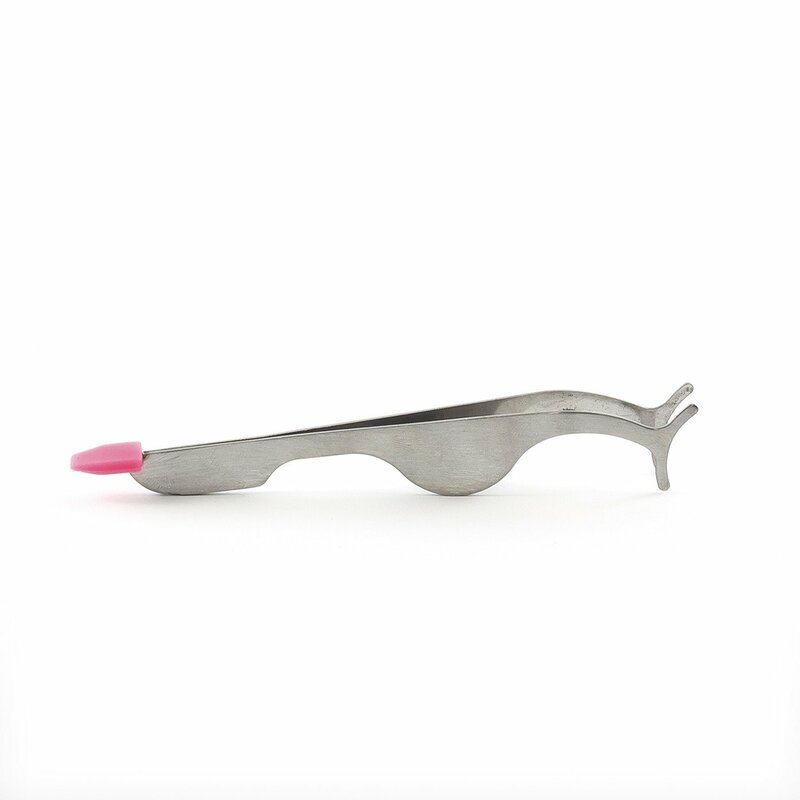 Remove the rubber cap of the opposite end and use the pusher to adjust and align lashes.